All types of gemstones, corals and cult. pearls. Gold and platinum jewelry with fine gemstones. Diamond strings and necklaces. Wide assortment of clasps. 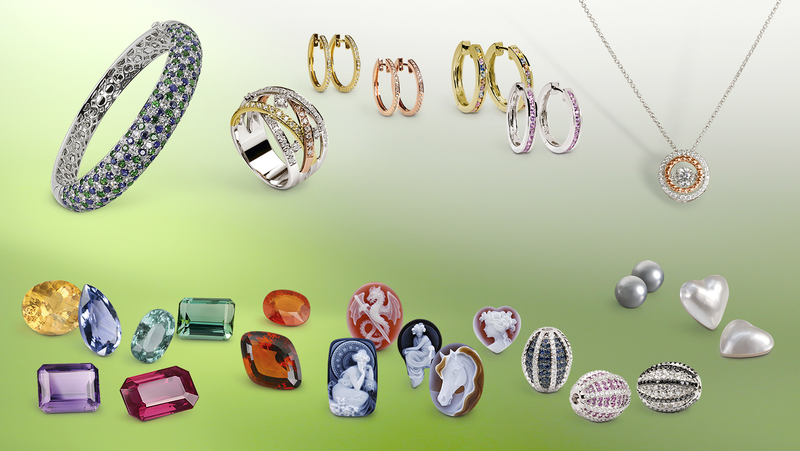 The trade-mark ERNST STEIN offers fashionable, but also timeless jewelry collections in 14ct. and 18ct. gold as well as in sterling silver with coloured gemstones, diamonds and cult. pearls, monogram and crest engravings. Ruppenthal has many colorful and high quality gemstones in stock. At our magnetic clasps is not saved in the production. It may be used only with magnets topp traction. Ernst Stein is a subsidiary company of A. Ruppenthal KG.